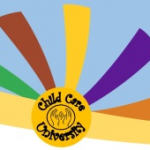 Child Care University is a series of workshops just for you! Join us for a day of learning, fun and great door prizes. You will receive tons of information you can put to work in your child care setting. *Apply for Individual Professional Development Funds (IPDF) to assist with the registration cost for this conference. Contact: Jen S at 4-C with IPDF questions.